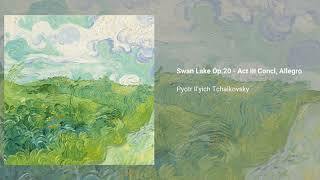 While the composition of Swan Lake came in the period of 1875-1876, it incorporated music from an 1871 unpublished effort entitled The Lake of the Swans, the composer's first attempt at ballet. 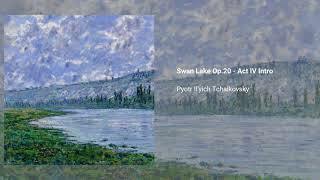 In addition, a second-act waltz was said to have been adapted from his 1869 opera Undine. 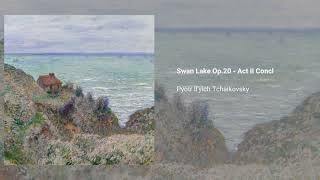 Swan Lake was not a success initially, but shortly after the composer's 1893 death, it began to take hold. 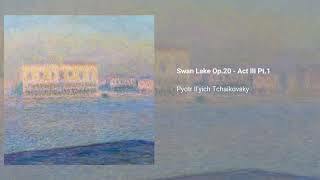 The work was then staged in the Riccardo Drigo version, which, with many excisions, additions, and reordering of numbers, became the standard performing version for many years. 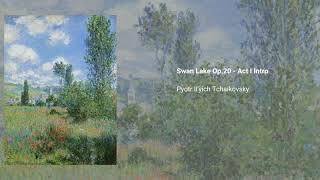 For Swan Lake Tchaikovsky composed an introduction and 29 dance numbers, which fall into four acts. The story, set in medieval Germany, centers on Prince Siegfried and his Princess-mother, who, reproaching her son for a lavish celebration at his chateau, commands him to take a bride from among a group of princesses invited to a ball for him the following day. Not Copyright Free...? Performance by London Symphony Orchestra and Anatole Fistoulari ?